Your credit is important for so many reasons, so your goal should be to have the best credit score possible. Among many other benefits, having a great credit score makes lenders more willing to give you a credit card or a loan at lower rates. Good credit is the way to get the things you want for less money. It takes dedication and hard work to maintain a high credit score. But what about those of you who don’t have any type of credit history? Building credit from scratch isn’t rocket science. The challenge comes in working at it long enough to get your score where you want it to be. This sounds simple enough. However, the truth of the matter is that many young people are tempted by perils and pitfalls. They often find themselves sidetracked due to irresponsible spending or other negative behaviors that lenders and credit bureaus deem risky. 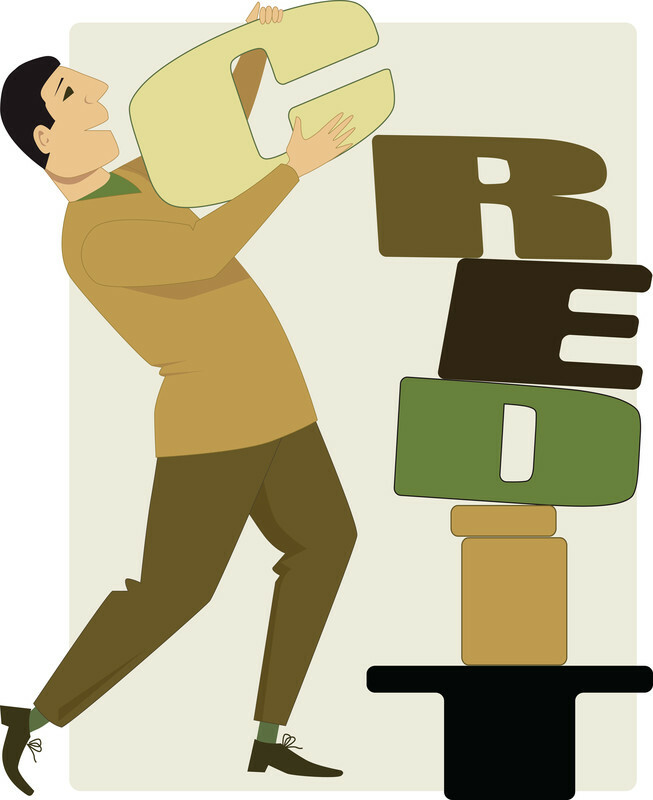 To build your credit properly you need to know a little about how credit scores work. You are not born with a credit history, but rather, it’s something that you build over time. You are not going to have one as a child, since you won’t have any sufficient data upon which to base a credit report. As you get older and begin to open bank and credit card accounts, maybe even take out a loan, you’ll begin to establish a credit history. There are two models that determine what score you have. They come from FICO, which is a data analysis company that determines credit ratings. The other is VantageScore, a similar organization created by the three major credit reporting bureaus TransUnion, Experian, and Equifax. The range of possible scores available to any consumer falls between 300 and 850. There is no such thing as a “zero” credit score. If you do not have enough data to receive a score you’re just labeled as having an insufficient history. That isn’t a bad thing. It just means you need to start building your credit by opening a few accounts. Unfortunately, that’s where the Catch-22 comes in. Lenders and financial institutions are reluctant to extend credit to those with poor credit scores. Additionally, if you do not have any score, it can be more difficult because you’re an unproven consumer. At least with a poor or fair score, the lenders know that you’re a high risk. Having no credit score at all is tough because while you may be extremely responsible with your finances, there’s no way of proving that to a potential creditor. Here we’ve put together a guide to build your credit from scratch, so you can go from having insufficient credit to a score of excellent in no time. Like anything involving finance, the process isn’t quick. However, you can take some steps to help speed it up. Before too long you’ll have enough data to get scored in the FICO ranges. You’ll also be in that upper percentile of consumers who enjoy the benefits of a high score. The process by which you are given a score is slightly complicated. We are going to break it down in simple terms. 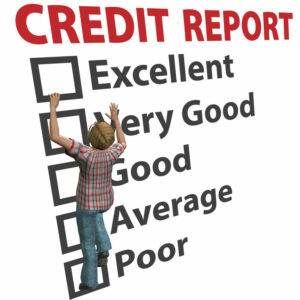 All scores are generated based on certain credit reporting data that is found on your credit history. When you have nothing on that history it is tough to meet the scoring criteria set forth by FICO and VantageScore. Let us say we are going to build that score from scratch. You need to know how you’re scored so you can make the smartest decisions about generating sufficient information to meet the scoring criteria. Though FICO and VantageScore have slightly different standards, both models are pretty much the same in what they value in terms of the information in your report. The two models consider five different categories reflected in your data. Each category has its own impact on the score. Some have more sway than others in coming up with your eventual number. The importance of each category is going to change based on the consumer. Therefore, while one of the five categories holds a larger percentage of influence on one person’s score, that same category may hold less weight with the next person. In that case, a different category will be more influential. That is typically determined by factors like length of history or number of currently active accounts. 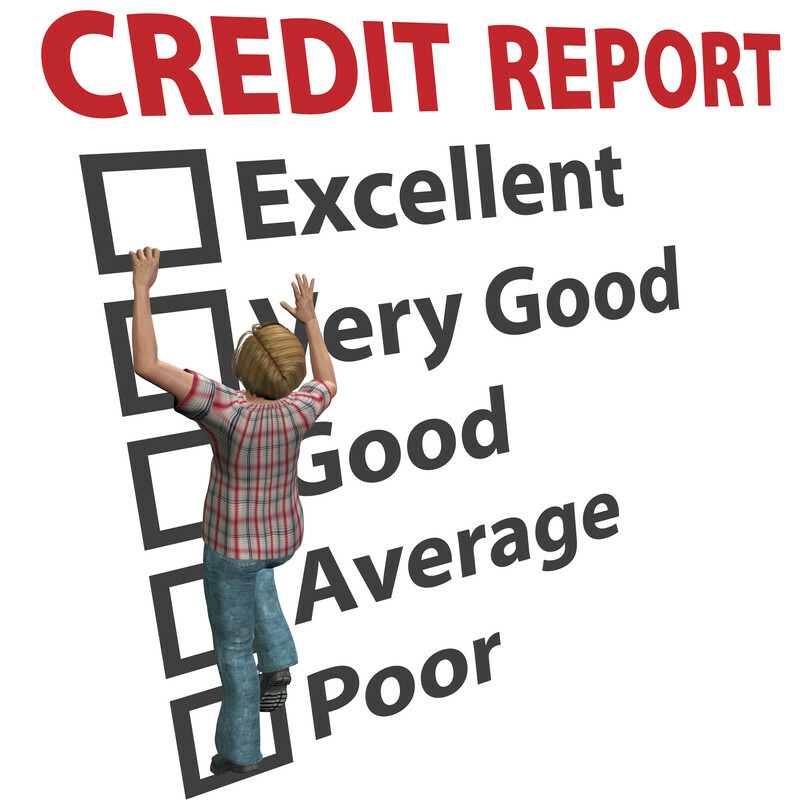 FICO and VantageScore break down every credit report by these five categories. Also, as we’ve discussed, the categories can hold more or less sway depending on the individual. However, all of the categories are based solely on the information contained in your credit report, both negative and positive. Your score is an assessment of your report and nothing else. Hence, the more positive information on the report, the more likely you’re going have a higher score. However, there can be both positive and negative data in each of these categories. Payment History: This is typically the most influential category on the health of your credit score. Lenders want to know if you pay your bills on time. That is because they don’t want to wait for their money to be paid back. Due dates are very important. Meeting all of your financial obligations by those dates with regularity will reflect very positively on your scoring. Both FICO and VantageScore view this part of your report with the most importance. Amounts Owed: Owing money is a part of having credit. While it’s an important category toward determining your score, reports with active accounts that have a balance on them aren’t going to doom your score. In fact, they can play a role in making your score higher. The thing that can damage your score is if the amounts owed are extraordinarily high or if they have been owed for an extensive number of years. Credit History Length: The longer that you’ve had sufficient data on your report by which to get a score, the better your score can be. That does not mean you need to have a lengthy history to have a high score. The data will explore other facets of a shorter history. These include things such as the age of your accounts on the report and the frequency with which you use them in relation to the other categories. Combination of Active Accounts: The combination of active accounts on your report can play a role in lowering or raising your score. FICO and VantageScore will look at everything on your report. This includes credit cards, loan accounts, and anything where you are using some type of credit to analyze that usage. Are any of the accounts in arrears? Are you overextending yourself by having seven active credit cards? These assessments can point towards risky or responsible behavior. New Accounts: The amount of accounts that you open can have an adverse effect on your score. There are statistics to prove that consumers opening many accounts in a brief amount of time represent a higher risk to lenders than those who space out new credit applications. It’s even more glaring coming from individuals who have little to no credit history. These are usually younger people who are eager to build a credit history in the shortest period of time possible. Yet, instead of starting off on the right foot, they’re already putting themselves behind the proverbial eight ball when it comes to having good credit. There is no shortcut to building your credit history the right way. Now we will look at some of the methods you can use to do it in an effective manner. The first thing you need to know is that you will not be automatically be given a score of 800 or above just because you got your first credit card or some other qualifying data that is positive at first. Your score is cultivated over time. Getting to that number is something that you need to work toward. If you continue to show positive behavior on your report your score will improve in the requisite amount of time. As we’ve seen, you need to have sufficient data in order to get a score. However, getting that data may be tough. That is because lenders know nothing about you. Hence, they’re going to be less willing to extend you a line of credit or a loan that can go toward your report for the purposes of building your credit. There are options available to you that will help you get the proper data to meet the minimum scoring criteria with FICO and VantageScore. They will get you on the road to building that score from scratch. A great way to start your credit history is by acquiring a secured credit card. Chances are slim that you’ll get approved for a traditional credit card with most banks and credit card companies. However, if you demonstrate responsible behavior with a secured card, you’ll be eligible for the alternative before you know it. Secured cards work differently than normal cards. This is because they present little to no risk to the card issuer. A secured card means you put down a monetary deposit for the privilege of using the card. That deposit will typically determine your credit limit on the card. Thus, if you put down $350 that will be the amount of money you can spend on the card. Since you’ve put up the money already, you’re not much of a risk to the lender. If you don’t pay your bill, they already have your money and they’ll just put that deposit toward it. The whole point of getting one of these secured cards is to demonstrate your skills at managing your credit. Consequently, it is critical that you pay your balance down each month (preferably in full) and don’t miss any payments. You’re proving yourself to lenders right now. Even though the card is secured, your habits with it will be reflected on your credit report. Any negative behavior will reflect poorly on your score. Responsible use will raise that score. Similar in many ways to a secured credit card, a credit building loan is designed to help you establish or rebuild your credit. It does so by giving you a small loan that you can pay back. This is done in an effort to demonstrate positive behavior that will be shown on your credit history. These are typically available at credit unions. They are ideal for first-time credit users who need to build their reports. These loans are usually given out with a maximum of $500 to $1000. They work differently than a standard loan. The money is put into an account that can’t be accessed until you “pay off” the loan in full first. You could consider it a form of savings account where you are making payments to fund it. This is done to show that you can make your payments on time and in full each month. Then, once you have reached the amount of the loan, the money is yours to use however you wish. In the interim, you will be logging six months to one year of payment habits that will show up on your report. Some first-time credit builders will usually get a small credit builder loan and a secured credit card to have two active accounts open on their report. Both can be beneficial to getting a higher score. No, your parents will not have any direct effect on improving your credit score. However, they can be of great assistance. This is done by making you an authorized user on one of their credit card accounts or acting as a co-signer on a traditional credit card or loan. Through the former, placing you on an existing credit card account in good standing with a positive payment history and low balance can reflect well on your credit history. That is in addition to the family member who owns the card. Through the latter, a co-signer will allow you to take out a credit card or loan without having to secure it first. This is because the lender knows they have someone else to turn to in the event you don’t make your payments. This option is only feasible if your co-signer has good to excellent credit and the bank approves them as your co-signer. It also puts the pressure on you to maintain good payment habits. That’s because if you don’t pay your bills on time, it can negatively impact your credit and the credit of your co-signer. If renting an apartment, the money you’re paying out typically doesn’t reflect on your credit history. That is because your landlord is not reporting it to the three main bureaus. However, if you’re eager to build your credit report and get that score up, there are services that will report your rent payment history to the bureaus. Then, it can be counted toward your burgeoning history. Now you know some of the options available to you for obtaining proper data that can be applied to your report and impact your score. Yet, if you don’t practice good habits with those methods you’re defeating the purpose entirely. Thus, you can dramatically hurt your score right out of the gate. That’s why it’s important to understand how you can raise or reduce that credit score through your habits of credit use. Remember, you’re still proving yourself to the credit bureaus and lenders. Therefore, anything you can do to help your cause will boost your score quicker. This is probably starting to sound like a common theme, but it really is that important and critical to maintaining a high score. Make all of your payments when they are due. That includes everything from credit card bills to utility bills. That’s right; if you pay your gas bill late it can ding your score. 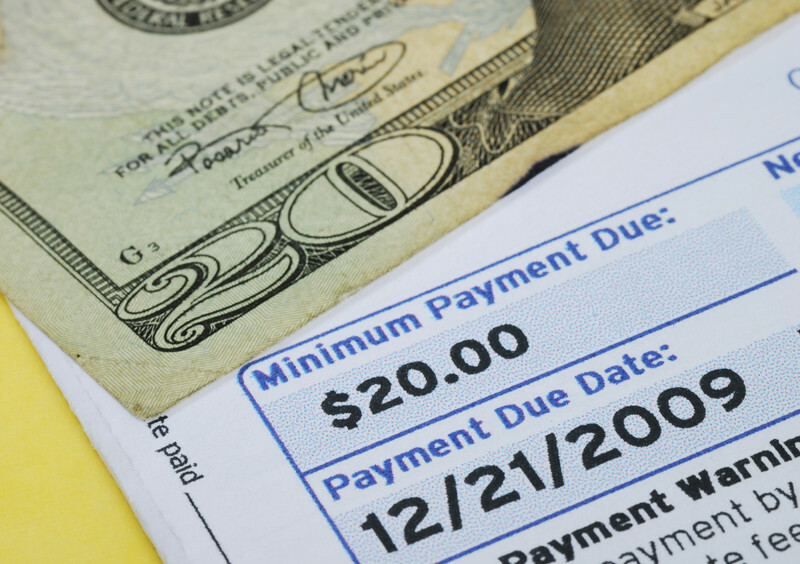 Leaving bills unpaid long enough to be sent to a collection agency is very bad. That is because once an account hits collections your score is going to plummet. This doesn’t mean you have to spend an inordinate amount of money on those credit card accounts listed on your report. You just need to keep them active and open to establish a longer credit history. If your card has an annual fee, you might consider closing it or do most of your spending on that card in order to justify keeping it open. Utilization is how much of your available funds is being used on any one account. It is always best to pay your credit card bill in full every month. However, if you do maintain a balance on the card, be sure it doesn’t represent more than 25% to 30% of your credit limit. For example, let’s say your card has a limit of $100. Do not keep a balance of more than $35 on it at any one time. The credit bureaus are required by law to offer every consumer a free credit report once a year. Take it and make sure there are no errors that might contribute to the lowering of your score. The bureaus are famous for messing up reports. There may be incorrect personal information and erroneous reporting data that shouldn’t be attributed to you but another individual with your name. Therefore, it’s very important to check your report routinely. Congratulations, those months of hard work have earned you sufficient reporting data and an initial credit score. It is now up to you to improve the efforts you’ve already put in with the goal of raising that score. Simply pay your bills on time and keep your balances on those credit cards low. That is the formula to having an excellent credit history. However, it can be tough to maintain those good habits when you apply for more than one credit card. While we’ve already established that having more than one account open can be beneficial to your score, using those cards irresponsibly can end up backfiring on you. Here a few things to keep in mind when you open up those unsecured credit card accounts. Be sure to keep utilization ratios in check if you’re going to maintain a balance on those cards. That means remaining conservative with your purchases. The more you spend, the more debt you begin to accrue. Too much debt means your score will start to fall. Be sure to use your cards sparingly and avoid maxing them out. The way to build your credit further is to maintain active accounts. If you do not use the card frequently enough, the card issuer may want to shut it down due to insufficient use. Thus, while you need to be conservative about your spending, be sure you use each card enough to keep active. Maybe apply one card to paying off a monthly bill. That way your card is active and you are not spending a lot on it each month. If you have a Netflix account, for example, tie the card to that and it will be charged the monthly payment of whatever your subscription level costs. That small amount will also make it easy for you to pay off in full each month. Then, the card account will be in good standing on your credit report. Building credit from scratch is a marathon, not a sprint. Yet, if you practice these habits for spending and establishing reporting data, you’ll be able to get a score in a relatively short period of time. The typical length of time for credit newbies to get acknowledged by the bureaus is roughly six months of payments being made on an account. Opening too many accounts is frowned upon. Consequently, having two or three with positive histories of use will make a big difference and get you started on the road to excellent credit.